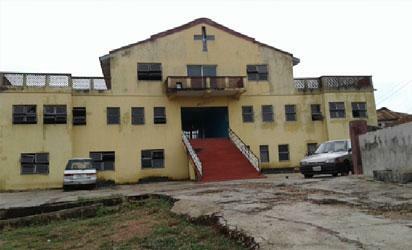 ABA- An Abia State High Court sitting at Aba, has barred the St.Michaels Anglican Church ,Aba, from conducting the burial of one Mr. Davidsonson Chukwuemeka Chigbo over a suit filed by his children against a woman who claims to be his wife. Represented by their counsel, Chidozie Ogunji; Children of the late Chigbo , Chukwueweta, Ebelechukwu, Ikenna and Chukwunonyelum, who are the applicants in the matter stated that they have buried their father on 9th December, 2017, at Eziowelle, Anamra state, and wondered why the defendant, Mrs Ihuoma Florence Ekomaru, who they claimed was not lawfully married to their father, has engaged the Anglican church, Aba, to conduct another burial on Friday, 19th January. In his argument, Ogunji insisted that if the burial was allowed to hold on Friday, it will cause a breach of peace and urged the court to grant an injunction stopping the defendant from conducting the burial until the determination of the motion on notice. In his ruling, Justice L.T.C.Eruba, granted an injunction stopping the defendant from holding the burial and adjourned the matter to January 22, 2017, for motion on notice. The post Court bars Anglican church from conducting man’s burial appeared first on Vanguard News.